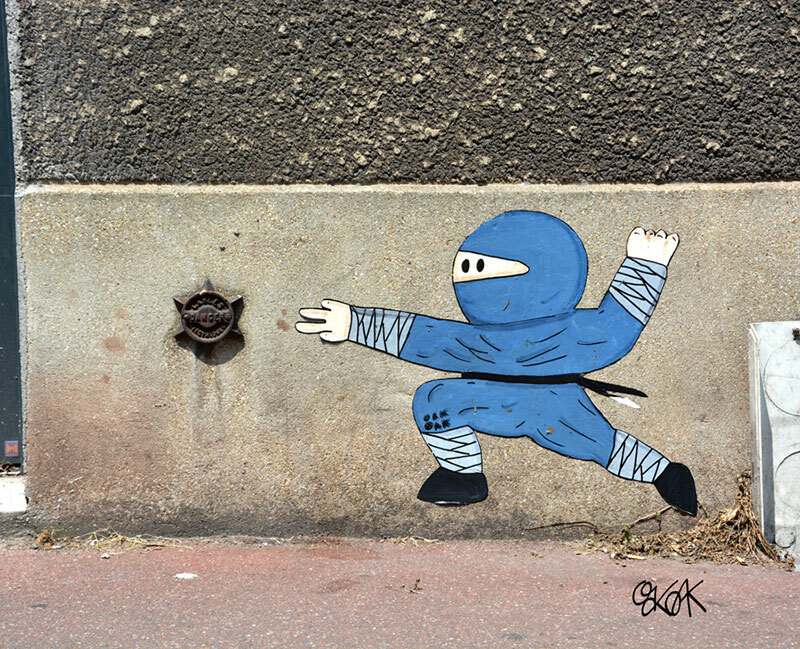 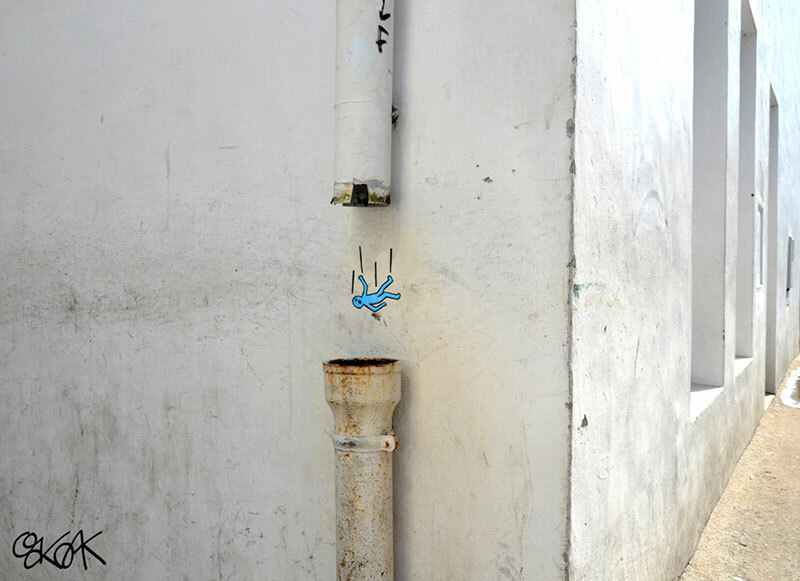 More humorous interventions by French street artist OakOak. 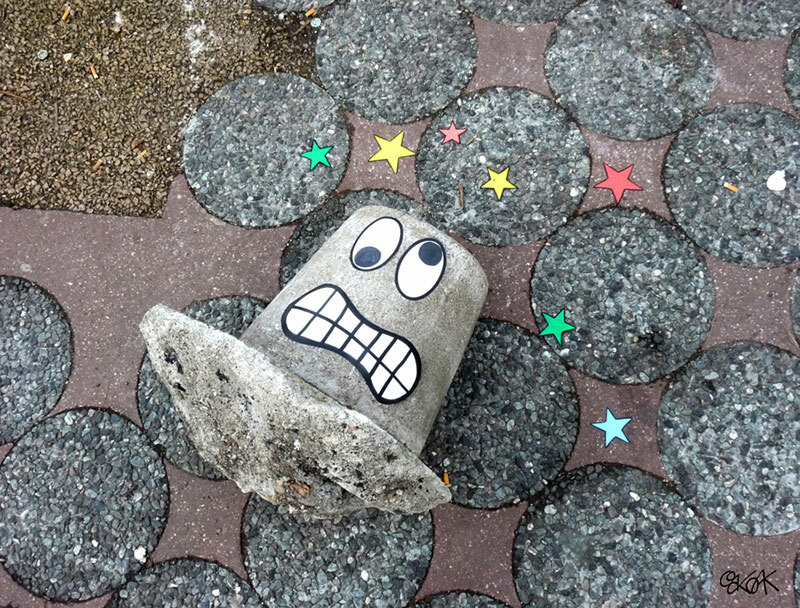 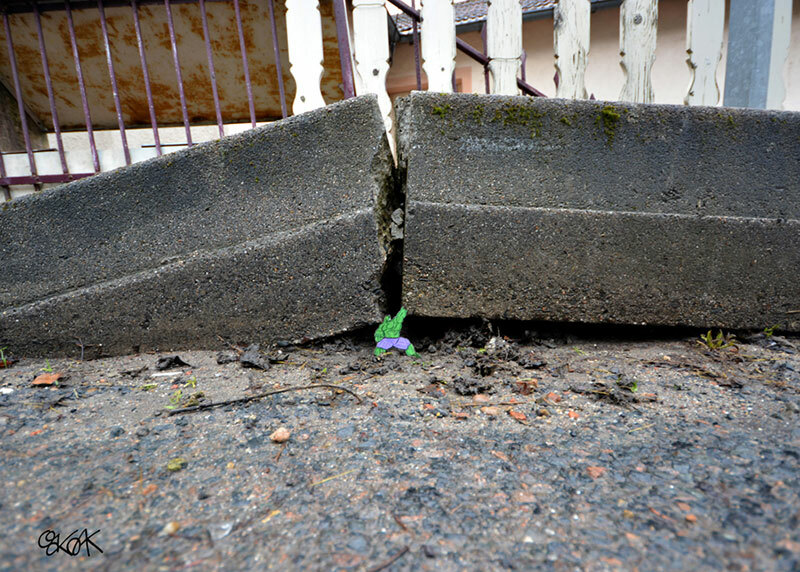 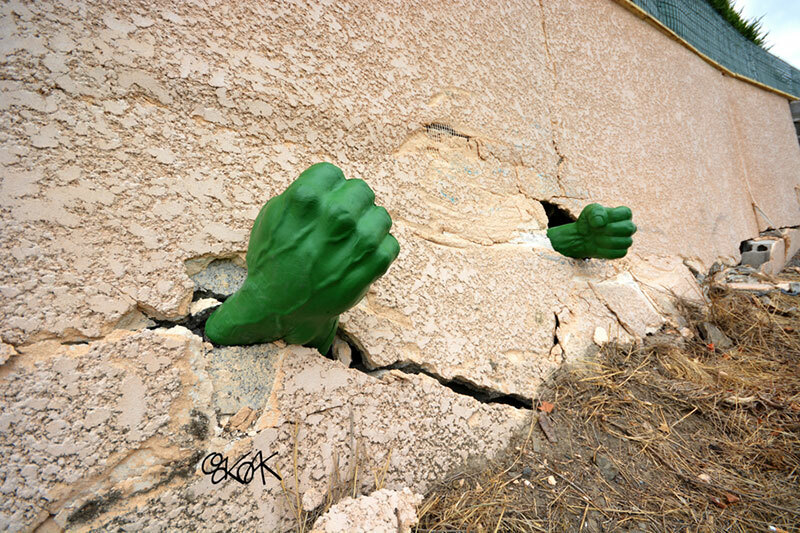 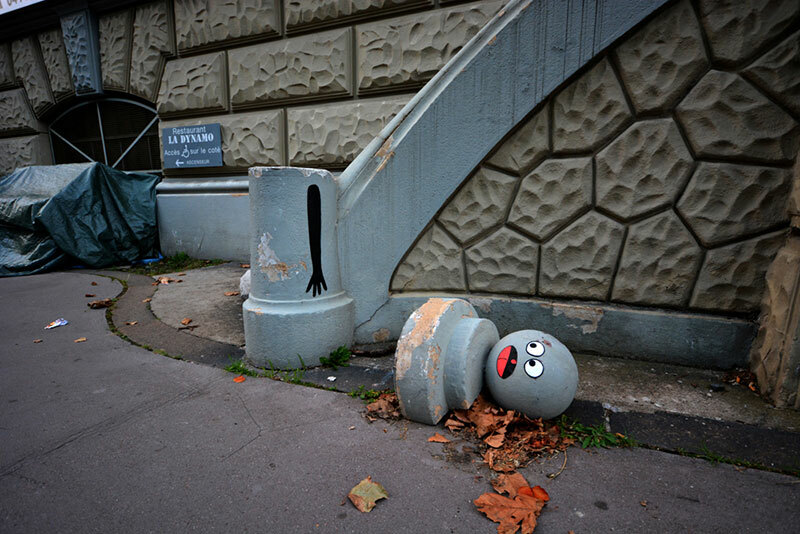 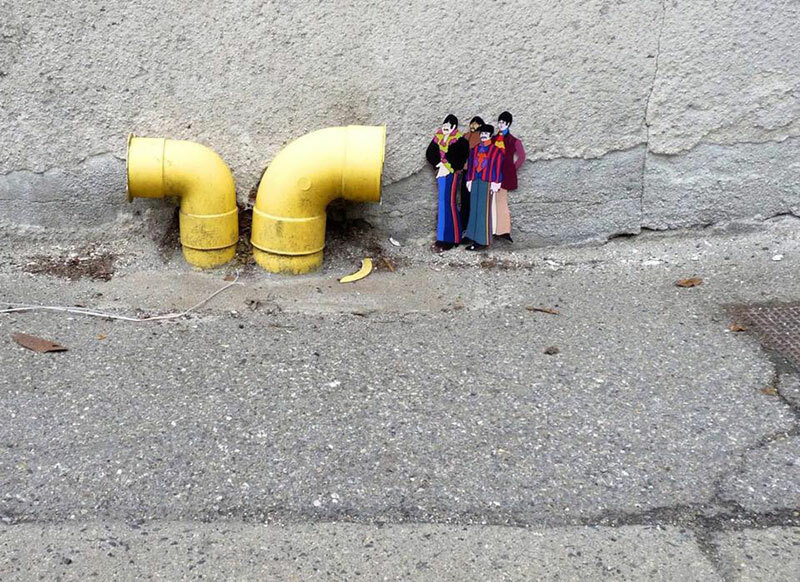 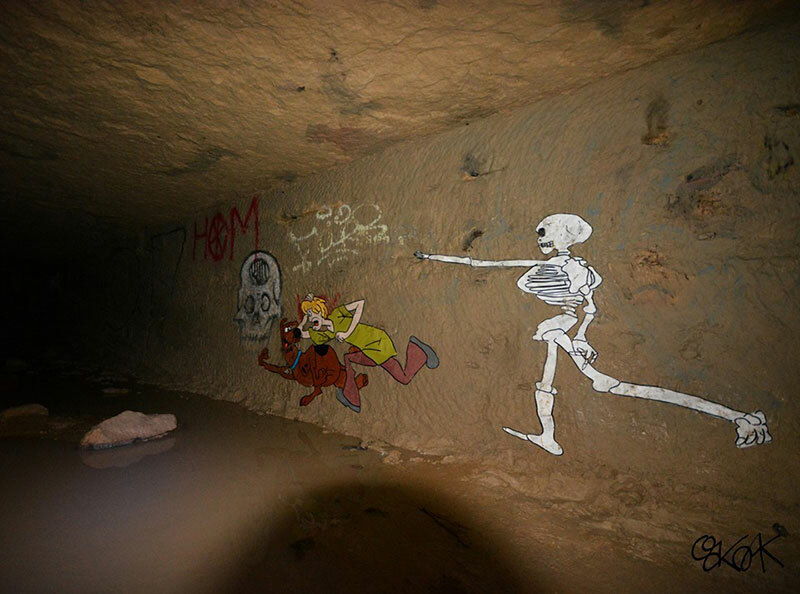 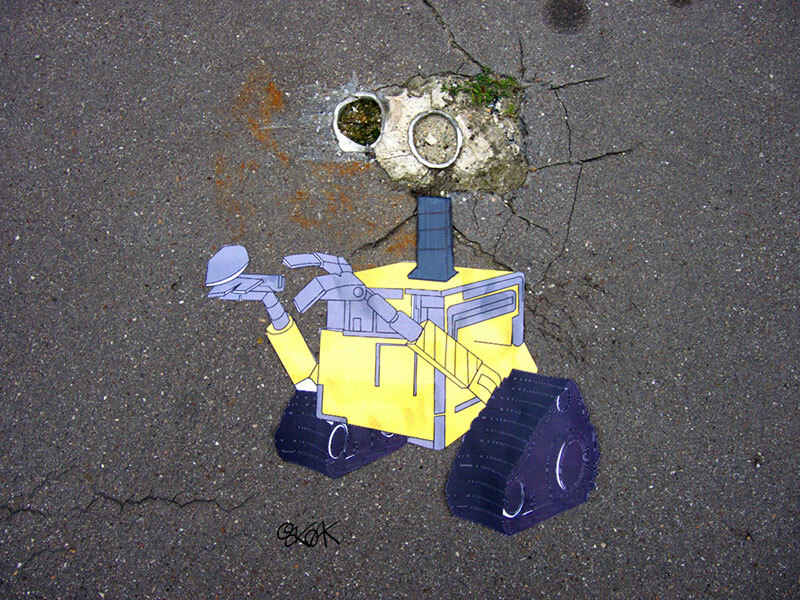 He looks for imperfections such as cracked concrete and other urban elements on the streets of his native St. Etienne and plays with these inanimate objects using cleverly placed, humorous doodles with references to pop culture. 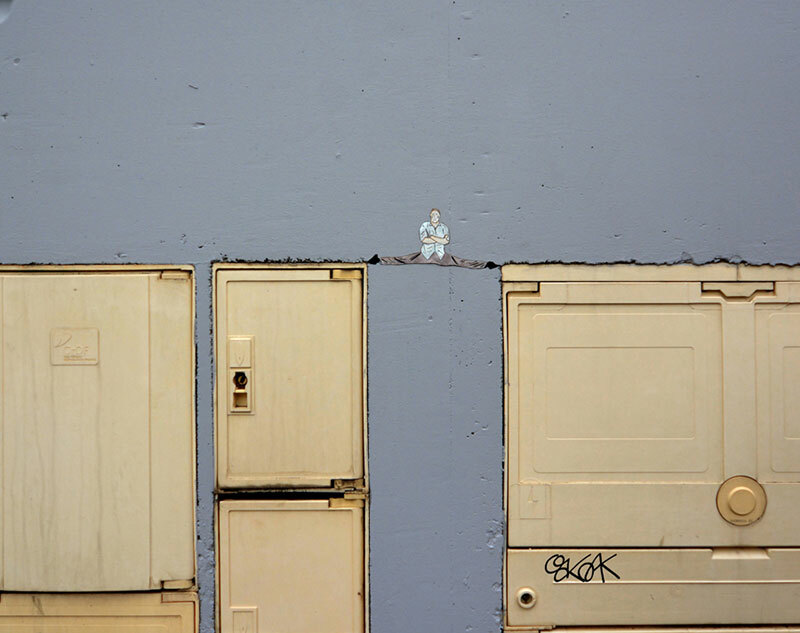 An office worker by day and street artist at night, OakOak is inspired by his hometown which he describes as "a laboratory city where you can try what you want" and "although for many this city has a black image, it is a huge playground, open to everything new – unpretentious." 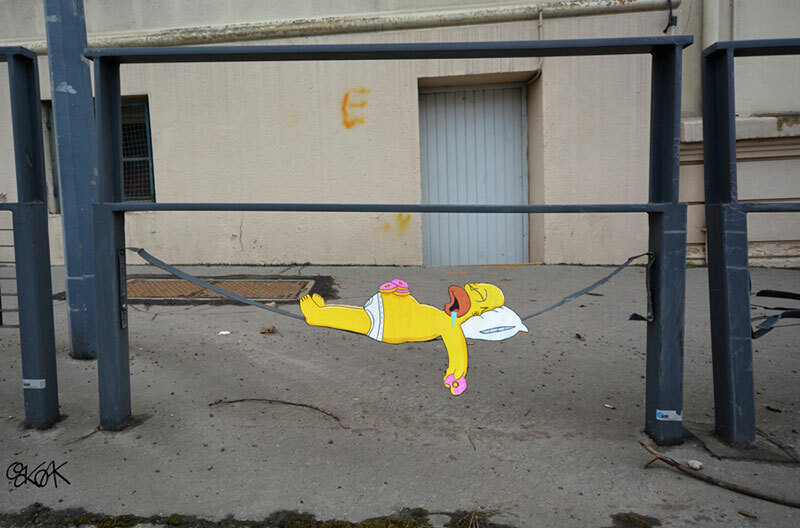 More humorous interventions by French street artist OakOak.